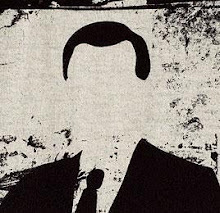 The Angry Bureaucrat: How Many Days (Years?) Did Bill Murray Spend Reliving Groundhog Day? How Many Days (Years?) Did Bill Murray Spend Reliving Groundhog Day? "Don't drive angry. Don't drive angry!" Happy Groundhog Day, everybody! Even though this has to be one of the most bizarre American holidays of them all, it's always good to have an excuse to party, right? I love the film Groundhog Day - the 1993 film is a brilliant comedy and some of Bill Murray's best work. I remember that I recorded it off TV onto VHS tape sometime in my early teens and occasionally popped it in the VCR to relive the magic (and horror) of a never-ending February day in Punxsutawney, Pennsylvania. So, almost everyone knows that Bill Murray's character (Phil Conners) has to relive the same day, Groundhog Day, over and over again, until he gets it exactly right. In the meantime, he learns to play the piano, gets to know the life story of almost everyone in Punxsutawney, tries to commit suicide several times, learns to speak perfect French, learns how to make ice sculptures, and has a variety of other adventures. All this makes for a great film - but how many days does poor Phil spend reliving Groundhog Day? 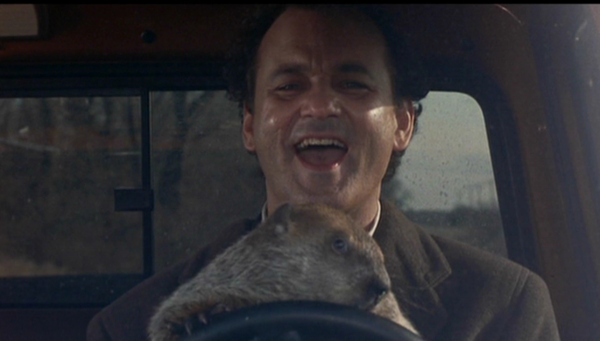 Phil/Bill spends 12,403 days (just one week short of 34 YEARS) stuck in Groundhog Day. Now I understand why he tries to kill himself at least a dozen times!